When applying for a loan, there are additional costs a mortgage company will consider beyond the property you are buying. There are 2 continuous main costs that are secondary to the loan costs itself. The first is property tax and the second is mortgage insurance. Depending on where you live, you will be required to pay property tax. This tax varies per state, county and per city. It is important to understand what the property taxes are for a particular property or for a particular area, in the calculation to what you can afford as these costs will be taken into account when it comes to income availability. For certain mortgage products, regulations can require the borrower to purchase mortgage insurance. This insurance offers the lender the option to recoup some or all of the missed mortgage loan payments in case the borrower goes into default. Premiums are usually between 1% and 2% of the loan amount per year and can at a certain point in the loan cycle become redundant as the property value has increased and/or the loan amount has decreased significantly. It is important to discuss with your loan officer at what point in time the mortgage insurance stops being a requirement. To determine the actual value of a home, to start the loan origination process, an appraiser would usually come by to assess the value of a home. An appraiser is an independent person that has no relationship with the mortgage company. Mortgage companies may suggest contacting a certain appraiser; however, they also will need to offer other options if you decide not to use this particular appraiser. A mortgage company or loan officer may never tell you to only use their appraiser, for whatever reason. The appraisal must be independent of any mortgage company to ensure an unbiased report. Appraisal fees can be a few hundred dollars depending on the property size can and time needed to do the appraisal. It may be smart to shop around to find the best deal. When you are buying your first home you may want to consider bringing in legal counsel to review your mortgage agreement to make sure there are no hidden surprises and that all aspects of the mortgage agreement are present. These costs can be more significant depending on who you get and how much legal review they need to do. For more frequent property buyers and sellers, the need for a lawyer may be less necessary as you will be familiar with the closing procedures, legal language, and disclosure requirements. When finalizing a mortgage, most likely you will be also setting up a mortgage escrow account which will hold up to 2-3 mortgage payments including real estate taxes and mortgage insurance premiums. Once the lender/broker has completed the mortgage and your loan is funded, the mortgage servicing company or department will continue to request you to make your mortgage payments either manually or automatically to the escrow account. The servicing company will also reach out to you in case of a missed payment or in case the escrow account has exceeded its maximum balance. In this situation, service companies are required to pay out any excess funds to the borrower within a short time period to make sure the borrower does not maintain unnecessary funds in escrow. Mortgage companies may never charge you any fee when filling out an application and giving you a loan estimate. Only once you agree with the loan estimate, may the mortgage company charge you a credit report fee to pull your credit score. However, once the loan application has been approved and the loan amounts are determined for completing the actual loan, there is the option for the mortgage company to charge you a service fee for all the preparations to create the loan. Borrowers may decide to waive the fee which means they take on the fees themselves. Processing fees come to about a few hundred dollars and can sometimes go up to a thousand dollars. Make sure always to discuss processing fees upfront with your mortgage company and have them clearly explain that there is or there is no processing fee and if there is a fee, what the details are of the processing costs, which are allocated to the loan origination. Be aware of bogus or excess fees that make no sense. What is not part of the initial loan estimate are the costs of maintaining your property. Each property differs in the costs for this. Weather and other wear and tear can put your property under strains and refraining from repairing or maintaining your property can cause all types of issues, not only when you are living in the property but especially if you are looking to sell your property. Having a plan of when to do yearly maintenance and keep a separate budget for this ready, makes a lot of sense when owning a home. 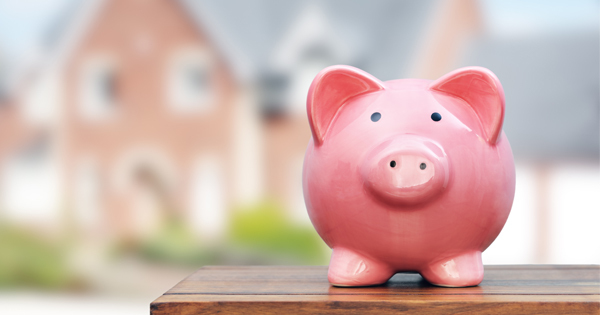 A few hundred dollars per month should be enough for a single family home to make sure you have funds immediately available in case something significant happens to your property. Also, home insurance can be very helpful in this scenario in case the property gets damaged by unforeseen events.